I love music from all genre and finding these treasures from the past has been fun and educational. I have a store on another site and have slowly been trying to transfer to Bonanza.com. I have found that the community of sellers and buyers on Bonanza are top notch. I will try to add audio files to these records as I go along. I have hundreds of 45's and LP's that I will be putting up for sale. Most are consignment items from people in my community and others I have found myself along the way. I look forward to doing business on Bonanza and will strive to do a great job. As you have seen from my former feedback, I will treat each sale with care and in a timely matter :) Mahalo Nui Loa (Thank You Very Much) for checking out my site on Bonanza! 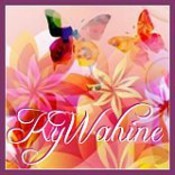 kywahine doesn't have any items in their booth!